The Schwinn Airdyne AD6 trains legs and the torso as well. The air resitsance is individually adjustable. The stronger you pedal, the higher gets the resistance. 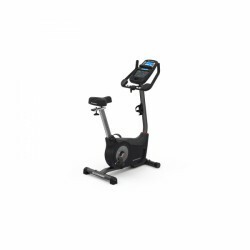 The Schwinn Airdyne AD6 is suitable for beginners and ambitious sportsmen. By the way, legs and torso can be trained separately. The Schwinn Classic Cruiser an absolute eye popper in Vintage style. It's easy to use and full of Entertainment options. 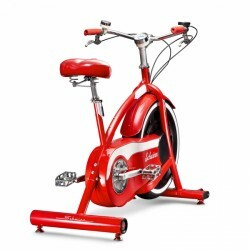 Turn your Training session into an recreational experience with the Schwinn Classic Cruiser App. Elegant recreational solution for users both young and old. 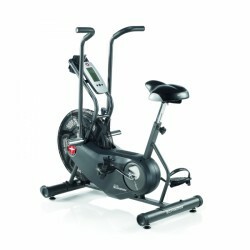 The Schwinn upright bike 570U is an elegant fitness machine with an extensive equipment. Thanks to RideSocial, you can compete interactively against training opponents all over the world. Well built exercise bikes never stop moving, for they carry you straight to your personal fitness finish line. 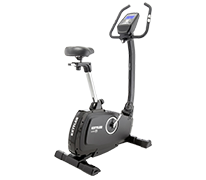 Thanks to the precisely regulated resistance, a heavy flywheel, a comfortable seat and Schwinn's legendary production standards, your Schwinn exercise bike guarantees you a sure ride to improved health and well-being. This is entirely a question of personal preference. Would you rather sit upright or in a semi-reclined position? Many people find recumbent seats more comfortable, because the back is well supported. Whichever you choose, comfort, or the fit of the seat, should be the decisive factor in your purchase, if you intend to use the bike regularly. Should you prefer sitting up, then upright bikes are to be recommended, for they resemble traditional bicycles in this respect. A stationary bike should be sturdy, quiet, and afford a pleasant and natural ride. The Schwinn bikes are constructed with the highest quality parts (bearings, crank, pedals, seats) and a robust steel frame. When comparing models you should consider the following: flywheels of a suitable mass sustain a more regular rotation, which is the most important factor for good pedaling. All Schwinn stationary bikes have a 14 kg flywheel. Bikes with belt drive generally are quieter and have a smoother rotation. Computer display ranges from basic information, such as time and distance, to advanced pulse-controlled programmes, which automatically adapt resistance to your desired heart rate.